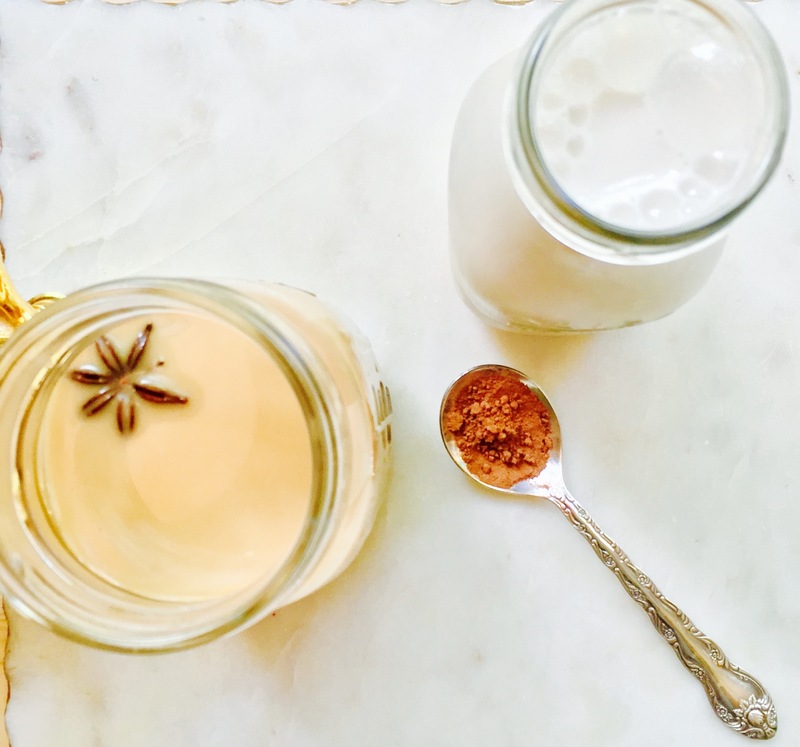 For the ingredients, you have some options- you can make your own pumpkin pie spice mix using star anise and be fancy, or you can use pre-made pumpkin pie spice, it is entirely up to you! 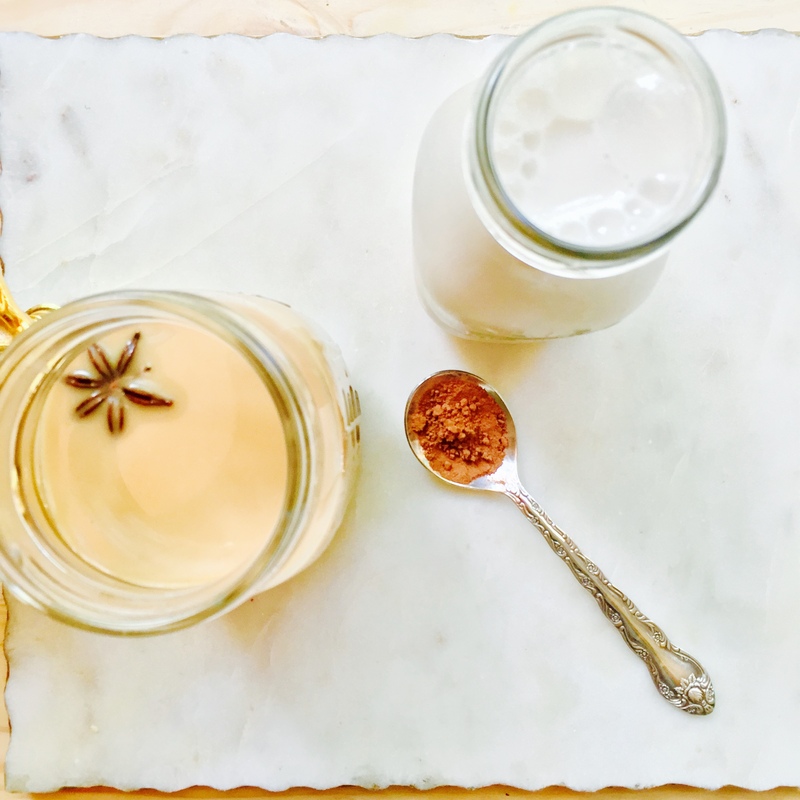 1 tsp pumpkin pie spice OR create a mixture using 1 tablespoon ground cinnamon, 1 tsp ground ginger, 1 tsp allspice, 1 whole star anise pod (ground), and ½ teaspoon nutmeg and combine, then use 1 tsp of that mixture. In a high speed blender, blend soaked cashews (pour out the water they were soaking in), filtered water, spices, vanilla, sea salt, and date(s) until combined. Next pour through a nutmilk bag or cheesecloth into a large bowl or receptacle of your choosing. Store cashew milk in a sealed jar for up to four days in the refrigerator. Serve alone or with coffee like I did here. Garnish with star anise and/ or cinnamon sticks if you’d like. Enjoy!